I read Double Indemnity by James M. Cain last summer and ever since then I have been planning to watch the film. The book creates a heavy atmosphere which involves the reader without mercy in a dark and cynical world. When Billy Wilder directed Double Indemnity in 1944 he visually recreated this atmosphere through meticulous attention to both the lighting and the set presentation. He would ‘dirty’ up sets just before filming would begin in order to present a slightly sordid image of the characters’ lifestyle – ashtrays would be overflowing and dust would be visible in the air. Due to the nature of black and white filming the lighting of a set becomes even more overt as contrasts are emphasised. Characters stand with bars of light thrown across their faces by blinds and hide away from the California sunshine in dimly lit rooms as they plot their selfish actions. The plot follows an insurance salesman, Walter Neff, played by Fred MacMurray as he falls for the original femme fatale played by Barbara Stanwyck. Without much hesitation Neff promises to kill Phyllis’ husband and ensure that they get a ‘double indemnity’ payout from the insurance company he works for through this death. However, they need to make sure that every alibi is irreproachable, every circumstance planned for and that no one is able to link them together. They are forced to meet in supermarkets, as if by chance, and plan in the open.This creates a web of carefully organised events which the audience waits in suspense to fall apart. However, due to their forethought this is not an inevitable occurrence but only a possibility in the presence of laxity. Nevertheless, it is Walter Neff’s boss, Barton Keyes played by Edward G. Robinson, who is unable to accept a narrative of accidents surrounding Phyllis. Through working at the insurance company for so many years he is able to sense a false calm even without explaining how or why. This ensures that Walter is forced to look on while his boss searches for evidence of the murder he committed even as he is trying to stay a step ahead. Billy Wilder had originally filmed a different ending for the plot but realised that this relationship between Neff and Keyes was central to the film and could be developed in more subtle and interesting ways. 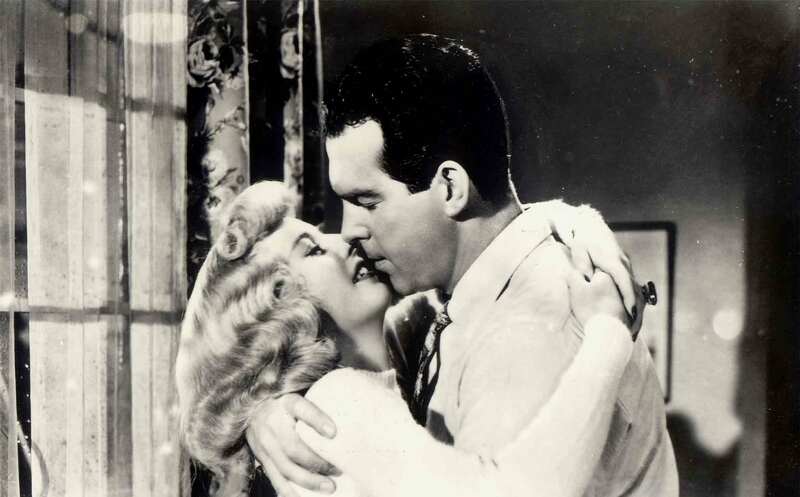 Although Double Indemnity was advertised as a story of love as well as murder it noticeably also details how quickly love can turn to hate or be misunderstood. Walter and Phyllis might be the dysfunctional couple at the centre of the plot but Phyllis’ step daughter also has trouble with a jealous boyfriend and Keyes is constantly aware of the huge numbers of spouses who cheat their partners. Double Indemnity was at the beginning of the noir tradition and it set the bar high. I would definitely recommend watching it straight away, although not if you’ve recently signed up for life insurance!